Angel is a shy/timid little lady who is looking for a calm and quiet all adults home. She will need some time to acclimate in new surroundings with people she doesn’t know. She will need another friendly dog his size to help build his confidence (Chico or Brownie would be the perfect canine companion since she knows them). You will need to go slow with Angel until you have won her trust. 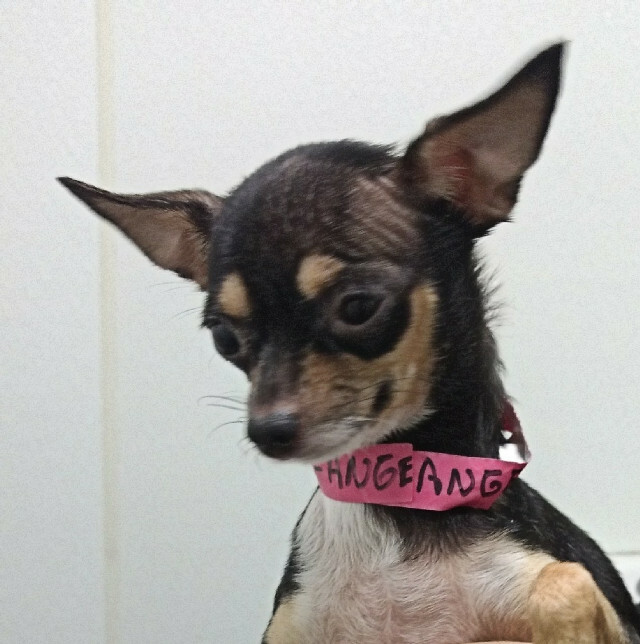 Angle is just a little gal in a world of giants hoping to settle into a loving home.